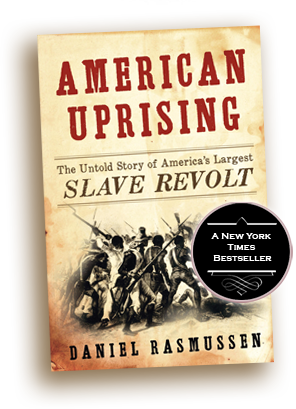 “Breathtaking… Rasmussen’s scholarly detective work reveals a fascinating narrative of slavery and resistance.” – Henry Louis Gates, Jr. In January 1811, a group of around 500 enslaved men, dressed in military uniforms and armed with guns, cane knives, and axes, rose up from the slave plantations around New Orleans and set out to conquer the city. They decided that they would die before they would work another day of back—breaking labor in the hot Louisiana sun. Ethnically diverse, politically astute, and highly organized, this slave army challenged not only the economic system of plantation agriculture but also American expansion. Their march represented the largest act of armed resistance against slavery in the history of the United States—and one of the defining moments in the history of New Orleans and the nation. American Uprising is the riveting and long—neglected story of this elaborate plot, the rebel army’s dramatic march on the city and its shocking conclusion. No North American slave revolt—not Gabriel Prosser, not Denmark Vesey, not Nat Turner—has rivaled the scale of this rebellion either in terms of the number of the slaves involved or in terms of the number who were killed. Over 100 slaves were slaughtered by federal troops and French planters, who then sought to write the event out of history and prevent the spread of the slaves’ revolutionary philosophy. With the Haitian Revolution a recent memory and the War of 1812 looming on the horizon, the revolt had epic consequences for America. 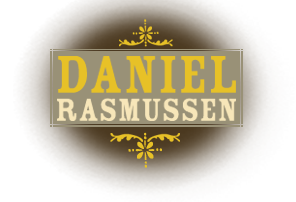 Through groundbreaking original research, Daniel Rasmussen offers a window into the young expansionist country, illuminating the early history of New Orleans and providing new insight into the path to the Civil War, and the slave revolutionaries who fought and died while standing up against injustice. This book represents a significant contribution to African American history and the struggle for civil rights in this country.